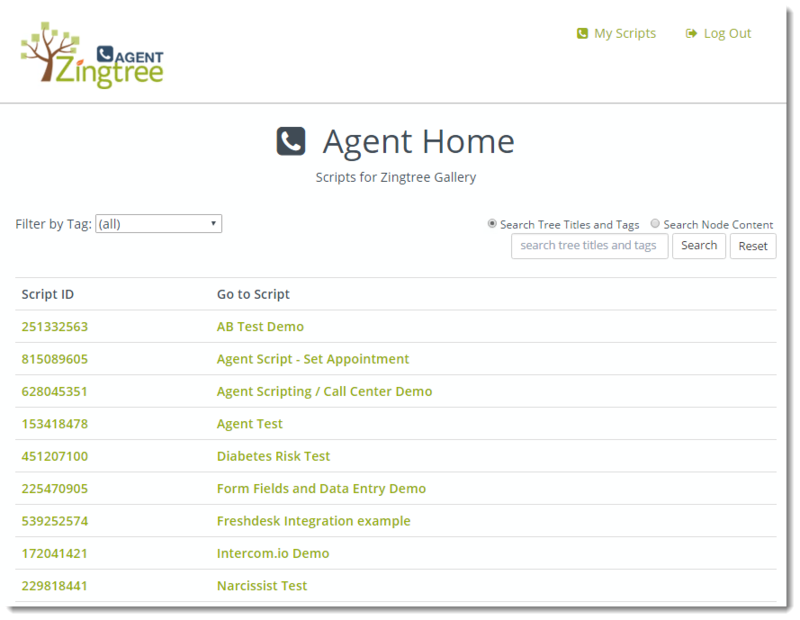 Many of our Call Center customers have asked for a simple, standalone way for their agents to access interactive Zingtree scripts from their browser. To that end, we have created the Zingtree Agent Portal. 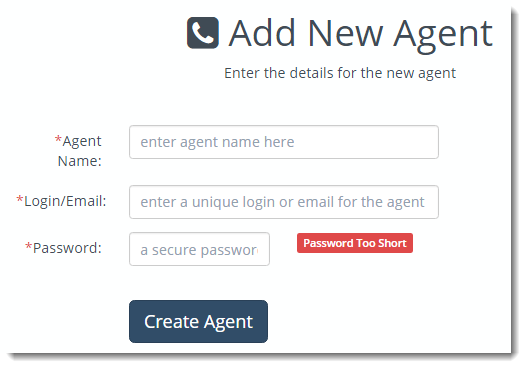 Want to use the Agent Portal just like a real live agent? Try the Agent Portal as customer service star Sheryl Agent. Everyone who wants access to the Zingtree Agent Portal for your organization needs to log in from zingtree.com. You can set up logins for all your agents, and use your own Zingtree account to gain access as well. Log into your Zingtree account. Go to Account > My Agents. Click Go to Agent Portal. Once you’re happy with how the portal is working, you can give others access. 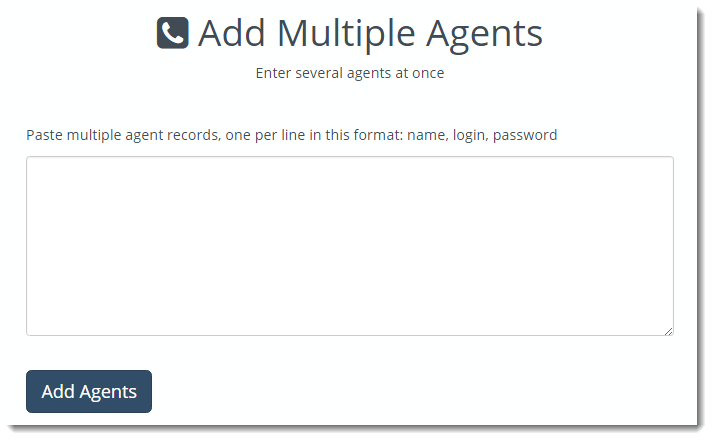 Enter the agent’s info, then click Create Agent. Besides the self-explanatory Back, Start again with this Customer, and Finished with this Customer, there are a few other goodies your agents will appreciate. Agents can see all the steps they took with the customer by clicking the + icon next to History. The ‘A’ button at the upper right makes just the answers appear. For a more compressed view, have agents use the button at the top right. #agent_name# – inserts the name of the Agent into the script. #agent_first_name# – inserts just the agent’s first name. #agent# – inserts the Agent’s login into the script. #organization# – inserts the name of your organization into the script. Go to the tree you want to hide from the My Trees page. Select Hide from Agent Portal View.